Every year on the last Thursday of September The World Maritime Day (WMD) is observed to acknowledge the maritime industry and to highlight importance of shipping safety, maritime security and marine environment and to acknowledge maritime industry. This it was observed on September 27 this year with theme as “IMO 70: Our Heritage – Better Shipping for a Better Future”. The World Maritime Day marks date of adaptation of International Maritime Organization (IMO) Convention in 1958. The day was first observed in 1978. G-4 Nations viz. India, Brazil, Germany and Japan have voiced concern over lack of substantive progress in long-pending United Nations Security Council (UNSC) reform. It was convened during meeting of Ministers from four G4 Countries which was hosted by External Affairs Minister Sushma Swaraj at Indian Mission to UN to review the reform progress. G4’s primary aim is permanent member seats on Security Council. Each of these four countries has figured among elected non-permanent members of UNSC since UN’s establishment. The World Tourism Day (WTD) is being observed every year on 27th September to foster awareness among international community of importance of tourism and its social, cultural, political and economic value. With the theme ‘Tourism and the Digital Transformation’ this year it seeks to show importance of digitally advanced tourism sector. The World Tourism Day marks adaptation of Statutes of UNWTO (World Tourism Organization) on September 27, 1970. Senior IPS officer Rajni Kant Misra has been appointed as Director General of Border Security Force (BSF) by Appointments Committee of the Cabinet (ACC). He has been tasked to head BSF for period up to his superannuation on August 31, 2019. He succeeds K K Sharma. 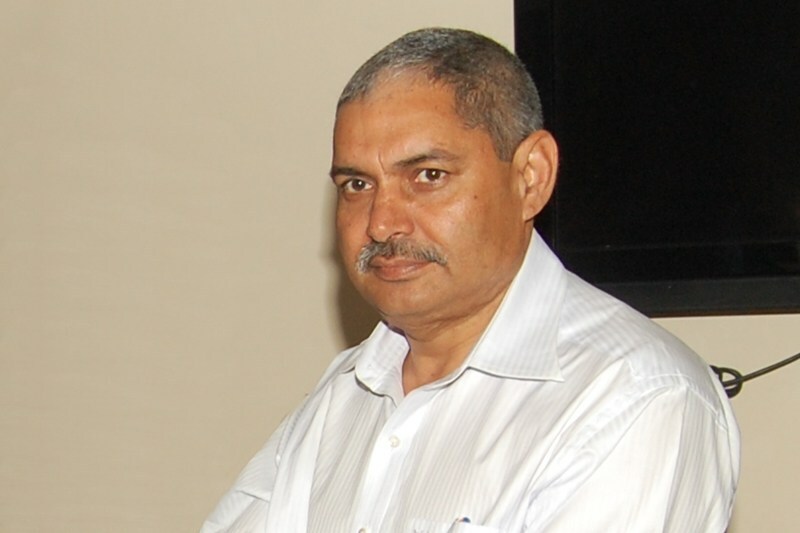 Misra is 1984-batch IPS officer of the Uttar Pradesh cadre. Currently he is serving as DG of Sashastra Seema Bal (SSB). BSF came into existence on 1st December, 1965 in the wake of 1965 Indo-Pak War or ensuring security of borders of India. BSF currently stands as the world’s largest border guarding force. The Appointments Committee of the Cabinet (ACC) has appointed senior IPS officer S S Deswal as Director General of Sashastra Seema Bal (SSB). He will hold post for period up to his superannuation in August 2021. Prior to this appointment, he was as DG of Border Security Force (BSF). He is 1984-batch IPS officer of the Haryana cadre. SSB is one of India’s Central Armed Police Forces (CAPFs). Established in 1963 following sino-India war, it is entrusted with guarding the country’s border with Nepal and Bhutan. Asian Development Bank (ADB) will provide US $150 million loan for establishing first Multi-skills Park in Bhopal where about 20,000 people are expected to be benefited. The skills park will be equipped with international training facilities to enhance quality of Madhya Pradesh’s technical and vocational education and training (TVET) system. Madhya Pradesh has one of the largest working-age populations in India. United States and India have formed ‘USAID-India End TB Alliance comprising leading experts in public and private sectors to combat the menace of tuberculosis. It was announced by US Agency for International Development (USAID) administrator Mark Green at event in New York in presence of Union Health Minister J P Nadda. USAID will make initial US $30 million commitment, subject to approval of the US Congress. Union Government has enhanced its contribution in State Disaster Response fund (SDRF) from 75% to 90%. With this enhancement Central Government’s additional contribution in SDRF will be Rs. 1690.35 crore for the year 2018-19 and Rs. 1774.67 crore for the fiscal year 2019-20. SDRF is resource available to States to meet expenses of relief operations of immediate nature, for range of specified disasters. Prime Minister Narendra Modi and French President Emmanuel Macron jointly awarded 2018 Champions of the Earth award, UN’s highest environmental honour. They were chosen in Policy Leadership category of the award for their pioneering work in championing International Solar Alliance (ISA) and promoting new areas of levels of cooperation on environmental action. The awards will be presented during the Champions of the Earth Gala in New York City, on the sidelines of the 73rd UN General Assembly. Government has constituted eight-member search committee headed by former Supreme Court judge Justice Ranjana Prakash Desai, to recommend names for posts of Lokpal chairperson and members. The selection process of Lokpal is underway as per guidelines of laid down in Lokpal and Lokayuktas Act, 2013. The committee can also consider names other than those recommended by the search committee. Lokpal and Lokayuktas Act, 2013 was passed in 2013 to constitute statutory body to inquire into allegations of corruption against public functionaries. 1. When was the World Maritime Day (WMD) observed for the first time? 2. Which of the following is not a member of G4? 3. When was the adaptation of Statutes of UNWTO (World Tourism Organization) occurred? 4. When did the BSF come into existence? 5. SSB is entrusted with guarding the country’s border with ___? 6. Who has been appointed as Director General of Sashastra Seema Bal (SSB)? 7. India formed alliance with USAID to eradicate ___? 8. Who has been awarded the 2018 Champions of the Earth award jointly with Narendra Modi? 9. Who is the head of the 8-member committee constituted to recommend names for the post of Lokpal Chairman and members?